I always say that homemade goodies are the best goodies. 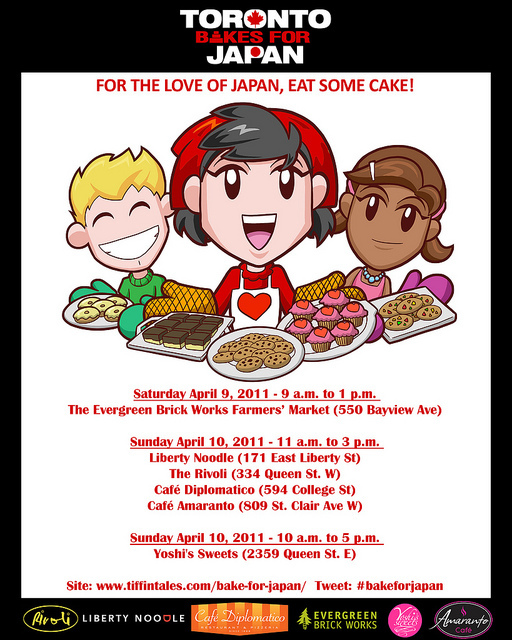 Come show your support for Japan at any of these locations this weekend by buying a homemade goodie from the bake sale. You can also come visit me at Cafe Amaranto on Sunday where I will be helping out and selling my homemade goodies! Pictures of what I’m preparing for the bake sale will be up shortly. What will you be baking for Toronto bakes for Japan?